I had to do really normal things to help the engineers. 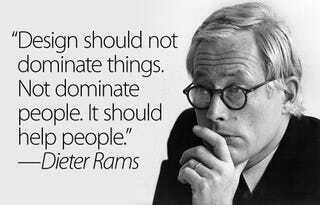 Perhaps some of Dieter Rams' fans should stop and ponder the two quotes above. Just for a little while, mind you. After all, while sometimes they could make big mistakes, most of the time they take Rams' principles to near-perfection.